Although still dominated by Chardonnay, California's white wines have grown increasingly sophisticated and diverse. Though Chardonnay is king of California white wines, Sauvignon Blanc is increasingly popular throughout the state (Tom Gore vineyards pictured). 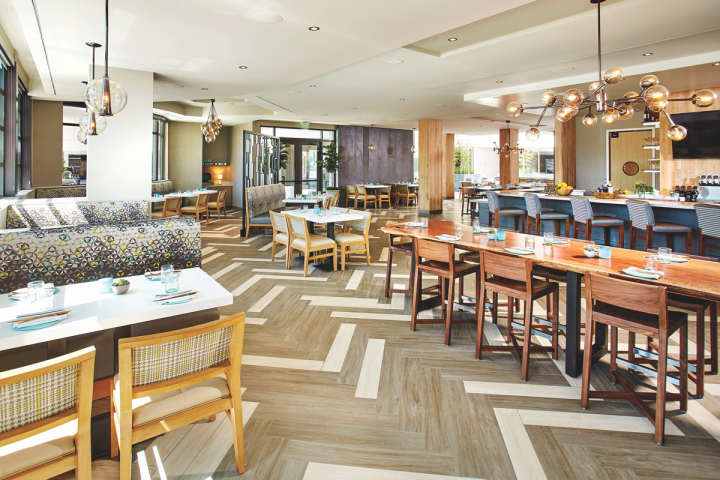 At Pacific Standard Coastal Kitchen in San Diego’s Little Italy neighborhood, adventurous wine drinkers can choose the 2014 Wind Gap Trousseau Gris, a Russian River wine that sells for $12 a glass. Other white wines by the glass tend toward the mainstream, including the ever popular 2014 Kendall-Jackson Chardonnay ($10). 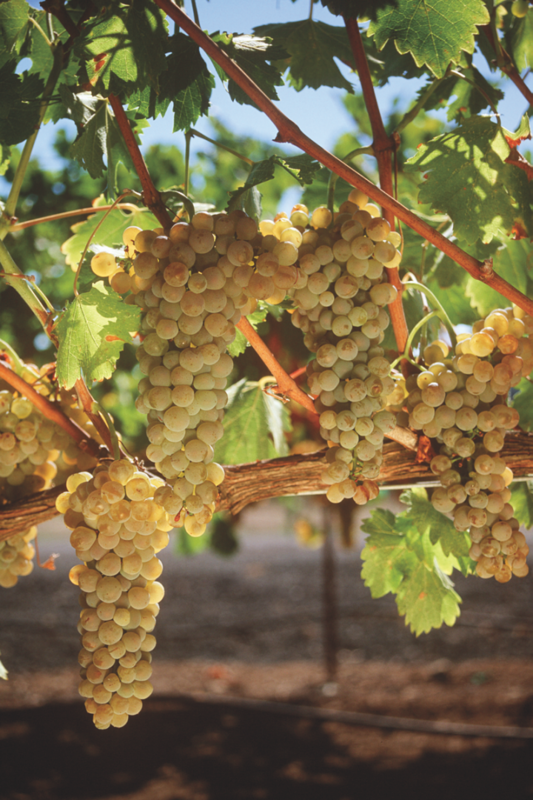 Chardonnay has long been the mainstream wine of choice in California (Chateau St. Jean Chardonnay grapes pictured). Whether that excitement and experimentation turns into widespread customer adoption remains to be seen. Chardonnay has dominated the California white wine sector for years and looks likely to remain in the lead position for the foreseeable future. “If Cabernet is king, Chardonnay is queen,” notes Barbara Hermann, wine buyer for the Chicago-area retail chain Binny’s Beverage Depot. Many major California producers are all-in on Chardonnay. “Chardonnay is a strong performer for us, and we’ve built a robust portfolio around it,” says Paul Bourget, vice president of strategic insights for wine and spirits at Constellation Brands. He notes that the three top-performing Chardonnays in Constellation’s portfolio—luxury brand Meiomi, super-premium Tom Gore Vineyards, and Black Box—are all showing strong double-digit sales growth. 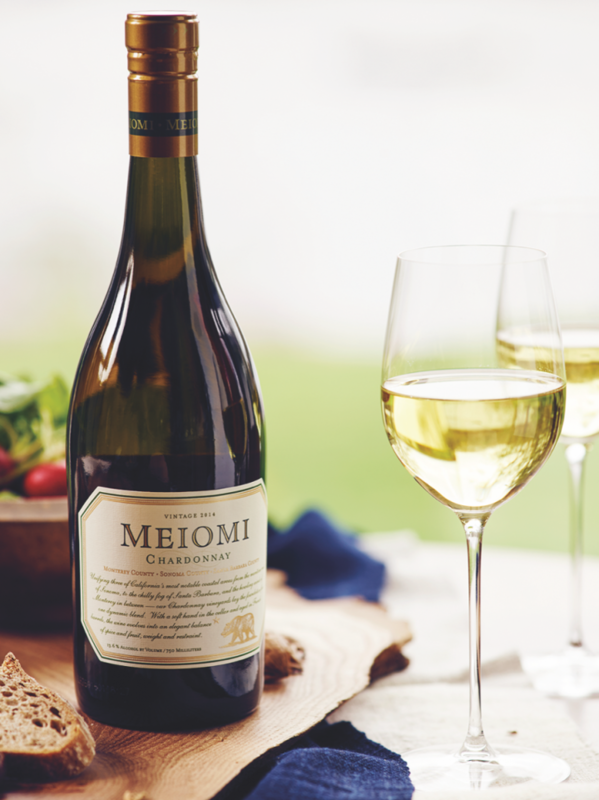 Meiomi's Chardonnay (pictured) is one of the three top-performing Chardonnays in Constellation's portfolio. Chardonnay has been scoring well with millennials and with women 25 to 54 years old,” Vintage Point president David Biggar told Shanken News Daily last year. He adds that consumers strongly favored “buttery” flavor descriptors when selecting Chardonnay styles. Those styles are juxtaposed against a move by some Chardonnay players away from rich, oaky wines to a leaner, crisper style. For example, in 2014 Treasury’s Chateau St. Jean label launched Bijou Chardonnay ($14 a 750-ml.) to respond to consumer desires for fruity and refreshing flavor profiles. “This wine is up 61 percent, showing that consumers will respond to innovation that helps them find the Chardonnay style they like,” Sheridan says. 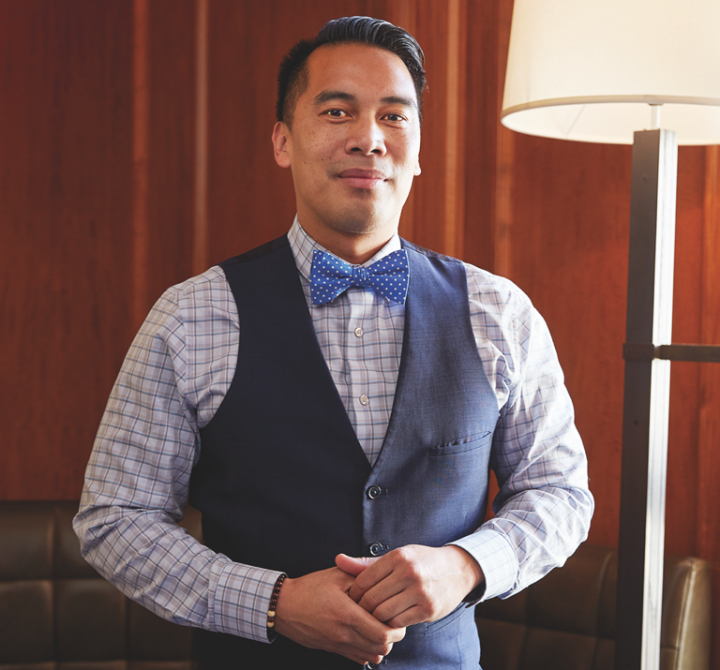 For Michael Baldonado, bar manager at MKT in San Francisco, a move toward crisper Chardonnays is a welcome change. “A leaner style of Sonoma Coast Chardonnays is definitely driving whites,” he says. Luca Bruno, wine director for the Four Seasons Hotel Los Angeles at Beverly Hills, says classic California Chardonnays remain the most requested wines at the hotel’s restaurants, especially those from Sonoma and Russian River Valley. Big brands are popular, but “customers are starting to get to know the smaller producers as well,” he notes. One favored wine is the Liquid Farm White Hill Chardonnay, which is listed at $115 a 750-ml. Consumers can also expect more innovation. Constellation Brands is rolling out several new Chardonnay offerings. In March, Robert Mondavi Private Selection released a Bourbon Barrel–Aged Chardonnay ($13.99 a 750-ml. ), following the brand’s Bourbon Barrel–Aged Cabernet Sauvignon that launched in 2016. Meanwhile, Clos du Bois introduced Lightly Effervescent Chardonnay ($12.99) in April. For the Constellation Brands portfolio, Bourget says Sauvignon Blanc and Pinot Grigio each hold a 7-percent to 8-percent share of portfolio volume. Woodbridge and Black Box are top performers for both varietals. "A lot of people are experimenting with different wines, and it's fun to see varietals that aren't Chardonnay." Bruno adds that he’s seeing more experimentation from U.S. winemakers with lesser-known grapes. “Many of the up-and-coming winemakers are being very creative, using indigenous European grape varieties from Italy, Spain, and France,” he says, noting the appeal of such a move. Other white varietals are being produced at various volume levels. For example, Moscato has relatively high volumes, but low average price points. Treasury’s Sheridan calls it a flash-in-the-pan phenomenon with the primary price points at $4 to $8. Meanwhile, Chenin Blanc has yet to find firm footing. “I would love to see more Chenin Blanc, but there’s not much to work with right now,” says MKT’s Baldonado. 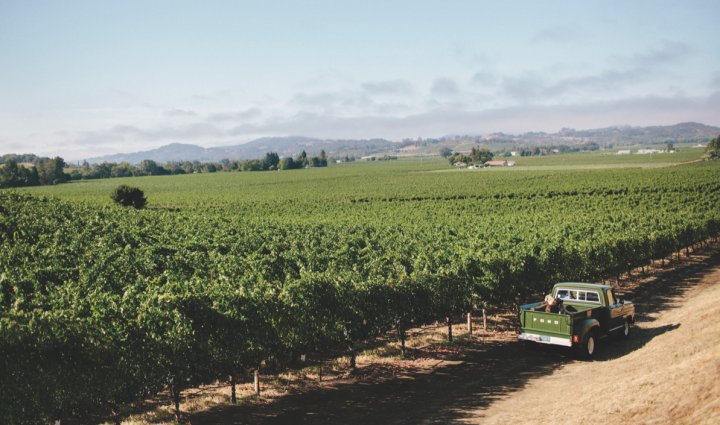 Some marketers are also looking to blends to expand the reach of California white wines. “Ménage à Trois White Blend is seeing a resurgence as the consumer continues to try new offerings in the segment,” Trinchero’s Derby says. Constellation’s Blindfold brand is “carving out a niche with consumers who are looking for unique, bold flavor profiles,” Bourget notes.